(2013/Sundazed) 24 tracks digisleeve w. booklet. Unreleased Demos From The Millennium And Crabby Appleton Songwriter Hollywood’s Sunset Strip was fertile breeding ground for folk-rock songwriters on the make during the mid-’60s. One of these kids with an acoustic guitar jumped right into a historically important album project within weeks of his arrival. 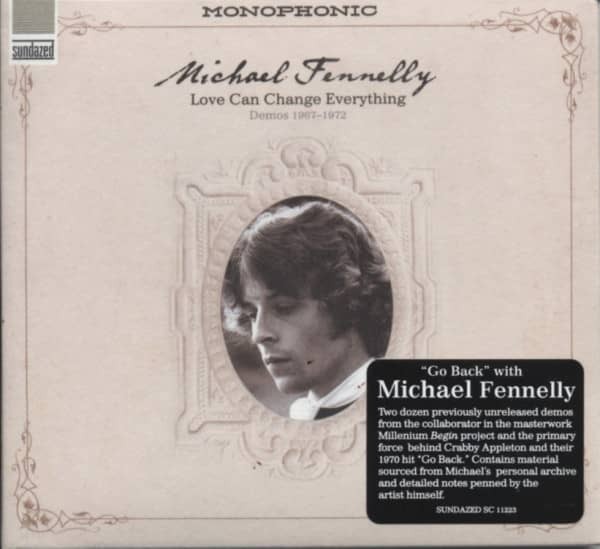 Michael Fennelly quickly became one-seventh of The Millennium, who produced Begin, a lush audio carpetorium of an album that found a cult audience upon its reissue thirty years later. After the Millennium shattered, Fennelly jumped directly into his next effort, the power-pop legends Crabby Appleton. The group managed to crack the American Bandstand market with“Go Back,” a big hit on the charts and a prized fave among pop collectors today. Love Can Change Everything: Demos 1967-1972 charts the development of Fennelly as a songwriter. 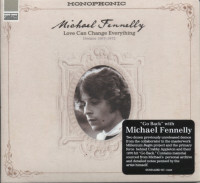 Starting with his earliest demos produced during the Millennium era and closing with stripped-down renditions of his Crabby Appleton songs, Love Can Change Everything makes the argument for Fennelly as a power-pop legend, a man whose way with a melody and a crystal-clear voice earned him a deserved spot in the LA pop pantheon. None of this material has ever appeared before, in any format — Love Can Change Everything is a true lost classic in the making. Featuring liner notes from legendary pop writer Domenic Priore and detailed track notes from Michael Fennelly himself! Customer evaluation for "Love Can Change Everything: Demos 1967-1972"